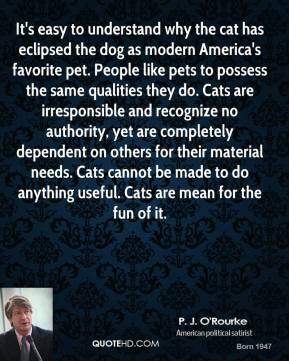 It's easy to understand why the cat has eclipsed the dog as modern America's favorite pet. 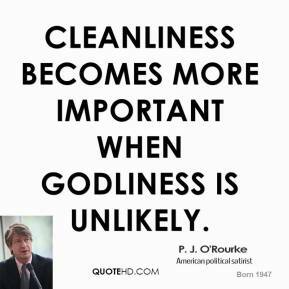 People like pets to possess the same qualities they do. Cats are irresponsible and recognize no authority, yet are completely dependent on others for their material needs. 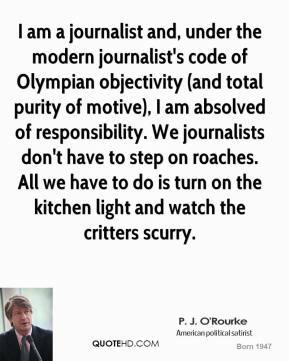 Cats cannot be made to do anything useful. Cats are mean for the fun of it. 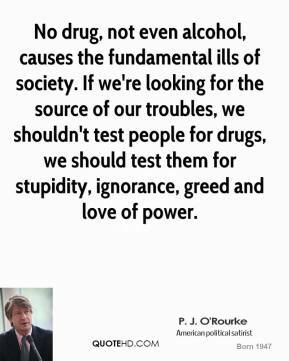 No drug, not even alcohol, causes the fundamental ills of society. 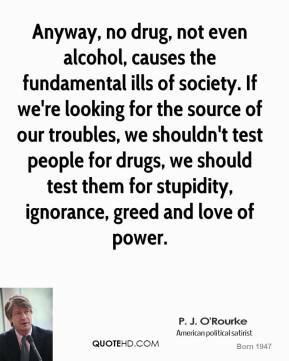 If we're looking for the source of our troubles, we shouldn't test people for drugs, we should test them for stupidity, ignorance, greed and love of power. 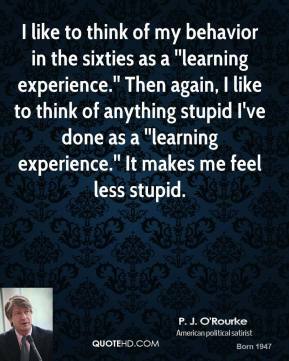 I like to think of my behavior in the sixties as a ''learning experience.'' Then again, I like to think of anything stupid I've done as a ''learning experience.'' 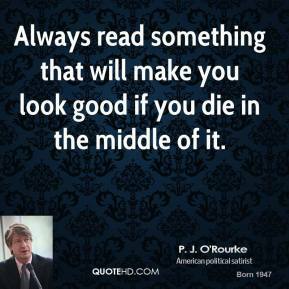 It makes me feel less stupid. 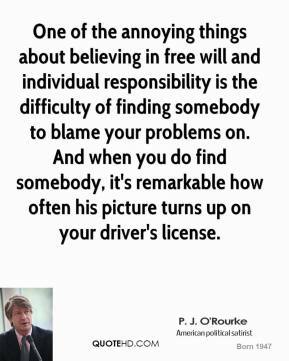 One of the annoying things about believing in free will and individual responsibility is the difficulty of finding somebody to blame your problems on. And when you do find somebody, it's remarkable how often his picture turns up on your driver's license. 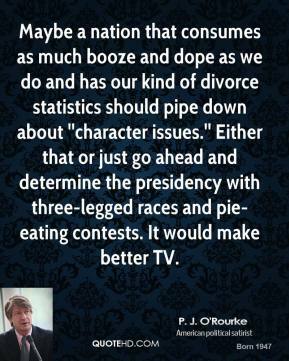 Maybe a nation that consumes as much booze and dope as we do and has our kind of divorce statistics should pipe down about ''character issues.'' 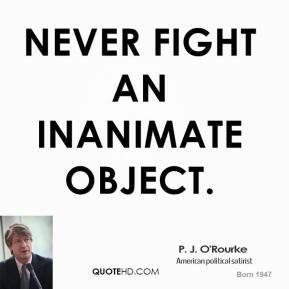 Either that or just go ahead and determine the presidency with three-legged races and pie-eating contests. It would make better TV. 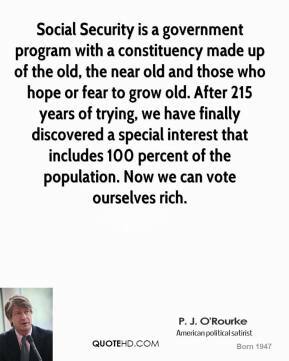 Social Security is a government program with a constituency made up of the old, the near old and those who hope or fear to grow old. After 215 years of trying, we have finally discovered a special interest that includes 100 percent of the population. Now we can vote ourselves rich. Marijuana is self-punishing. 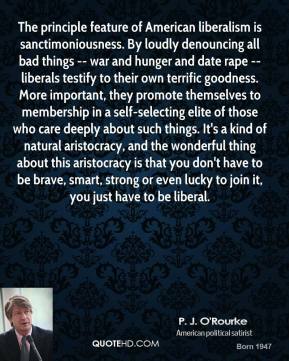 It makes you acutely sensitive, and in this world, what worse punishment could there be? 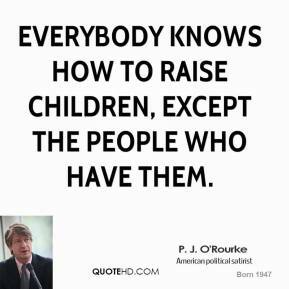 Children from the age of five to ten should watch more television. 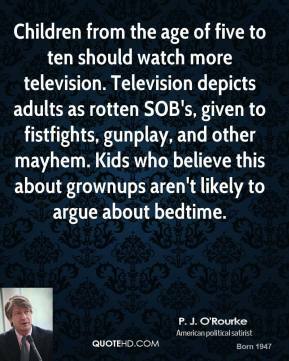 Television depicts adults as rotten SOB's, given to fistfights, gunplay, and other mayhem. 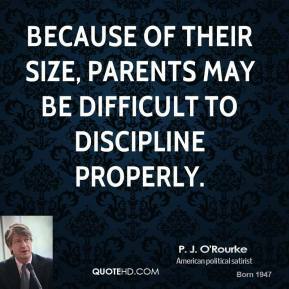 Kids who believe this about grownups aren't likely to argue about bedtime. 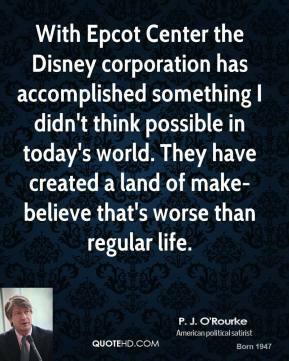 With Epcot Center the Disney corporation has accomplished something I didn't think possible in today's world. 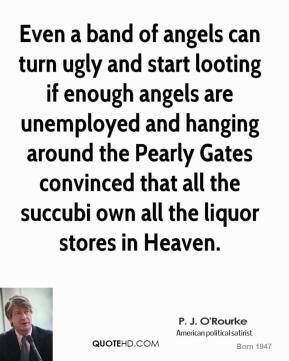 They have created a land of make-believe that's worse than regular life. 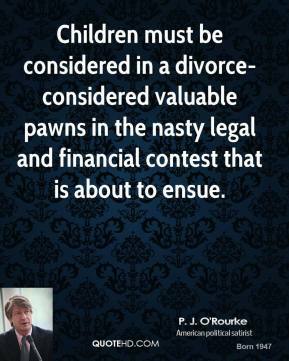 Children must be considered in a divorce-considered valuable pawns in the nasty legal and financial contest that is about to ensue. 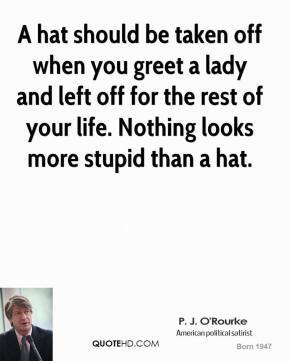 A hat should be taken off when you greet a lady and left off for the rest of your life. Nothing looks more stupid than a hat. 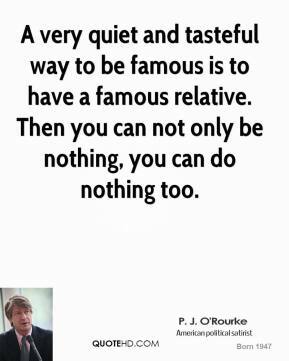 A very quiet and tasteful way to be famous is to have a famous relative. Then you can not only be nothing, you can do nothing too. After all, what is your host's purpose in having a party? 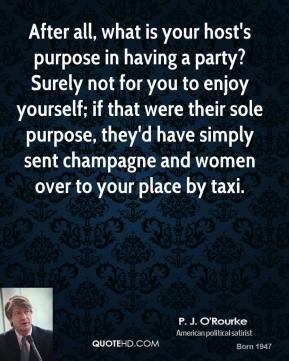 Surely not for you to enjoy yourself; if that were their sole purpose, they'd have simply sent champagne and women over to your place by taxi. 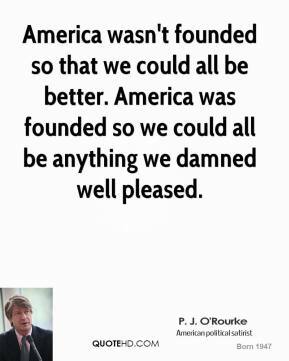 America wasn't founded so that we could all be better. America was founded so we could all be anything we damned well pleased. 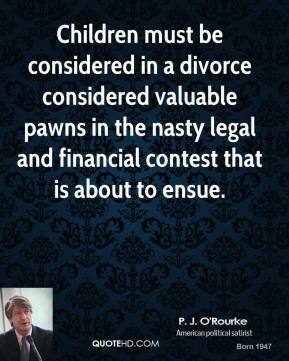 Children must be considered in a divorce considered valuable pawns in the nasty legal and financial contest that is about to ensue. 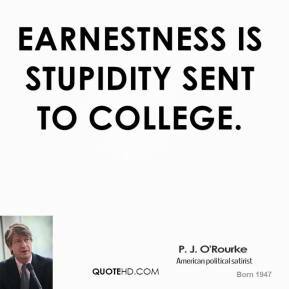 Earnestness is stupidity sent to college.